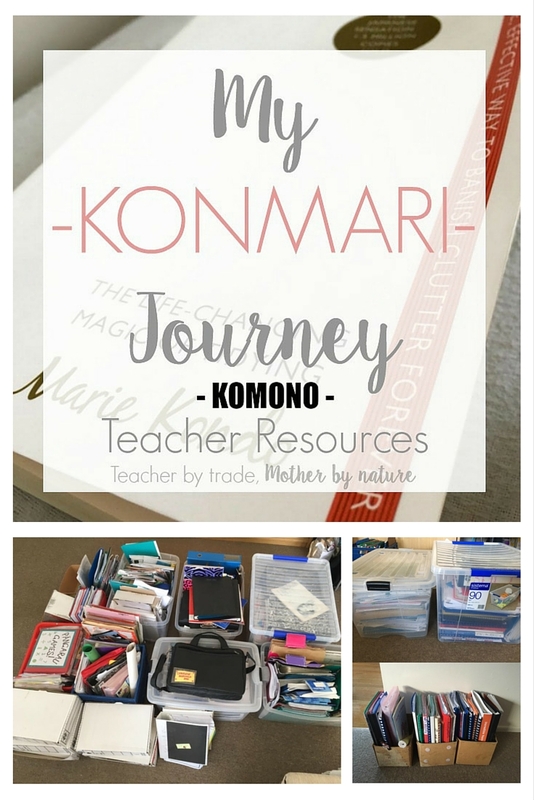 I have been waiting for this day to come since I started this whole KonMari journey - My teacher resources!!! It pretty much takes up over half of my office and it was really bugging me. I didn't want to unpack it all because it really needed it to be culled first. 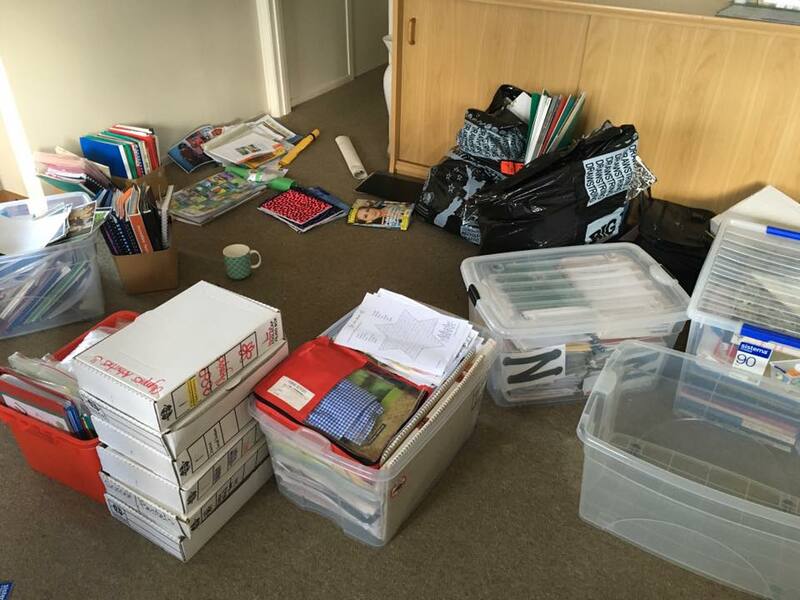 Before I moved in with my partner in July 2013, our downstairs bedroom was dedicated to my teacher resources...on a good day, it almost resembled a mini classroom...on a bad day, it was a chaotic mess. I had so much stuff...resources I had kept from University and from my first few years of teaching - I had kept it all. Then when I decided it was time to take the plunge and move in with my partner, I had to have a massive cull, simply because I was going from a four-bedroom house to a two-bedroom home, and there was not much room to store my stuff. So I did...I purged maybe half of my teacher resources and sent the other half to my parents. In August last year, we bought our first family home. I went up north one weekend to my parents and collected everything that belonged to me but before I put it all in my car, I purged again. It had been a year and a bit since I did my first cull, so it was like I was going in with fresh eyes. I managed to cull half of what was there, but it still felt like a lot. It was a lot to get through, because I was going through each box and looking at every piece of paper/book/resource/planning I had, to see if it 'sparked joy' or if it will be useful for me now or in the next couple of years. This is my BEFORE...roughly 6-7 containers worth of teacher resources (including planning, unit plans, displays, classroom resources plus much more). I stood there looking at this pile for about 10 minutes, deciding where to start. There was no turning back, I had to get it done/started because it was all on my dining room floor, so I had to choose a spot and get started. As always I was following Marie Kondo's rules...sort by category, not by location...moving all my teacher resources from the office into the house, made it somewhat easier, because I could see everything in one place. Yes, it was overwhelming, however I could envisage my end result, and how much stuff I am willing to keep. I was restricted to a time frame because of other commitments, so this made me tidy as quickly (and completely) as possible. When I know I have a certain amount of time to get something done, I am more determined to get it done quicker, as opposed to taking my time. I thought I would show you all a 'DURING' photo, so you can get an idea what I was working with. I had a bit of a system, categorising as I went. 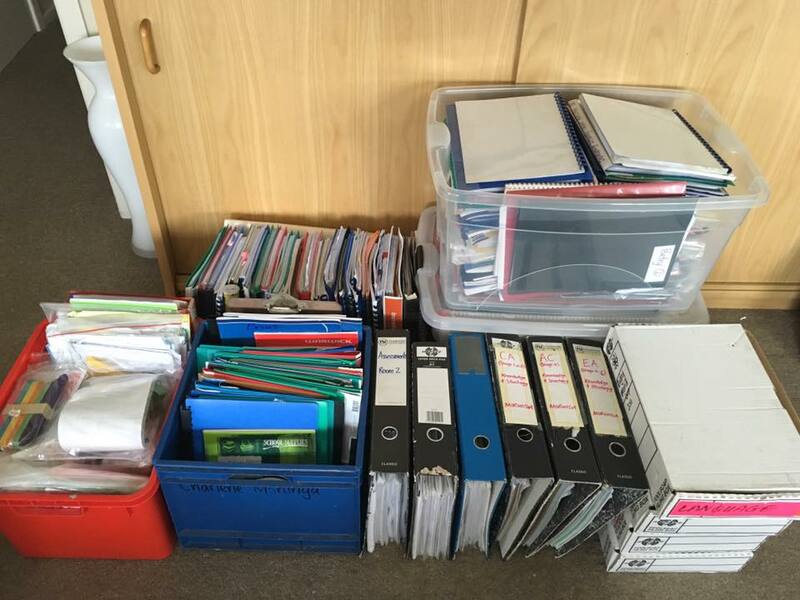 I wasn't too fussed about the organisation of my resources, I really just needed to purge! Phew! That was intense. I spent two hours going through majority of my teacher resources. 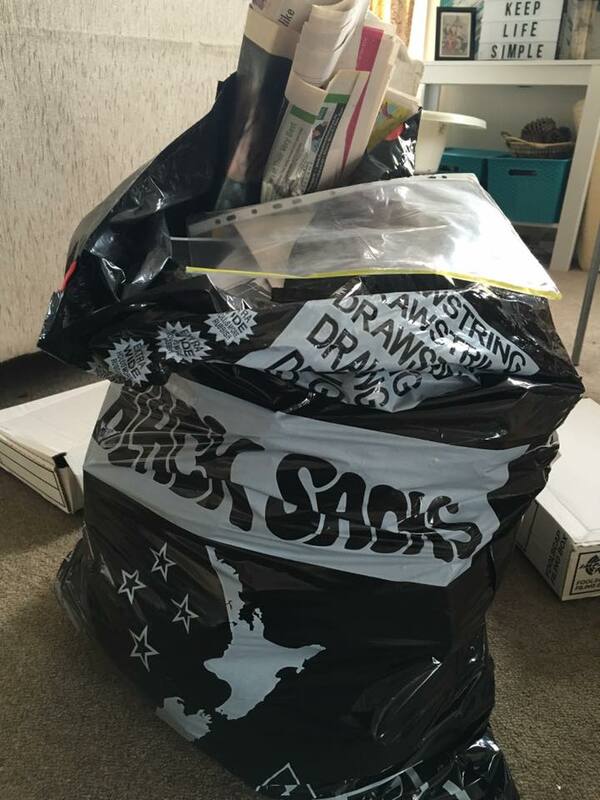 I filled two bags of rubbish and had a box of unused clear files and a few spare school books. 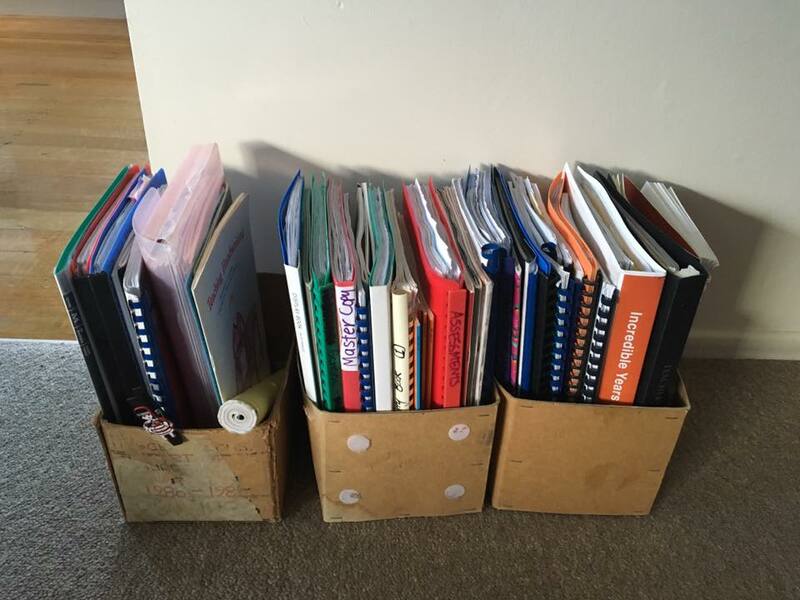 I semi-organised what I had kept...Te Reo Māori resources, unit plans, maths resources, and half a box of sentimental items (that will be sorted at a later date). I felt like a made a good start. I would have loved to continue and get it all done in one day, but I had to pick up my daughter from school and my toddler would have a blast pulling everything out of the containers, so I called it a day. 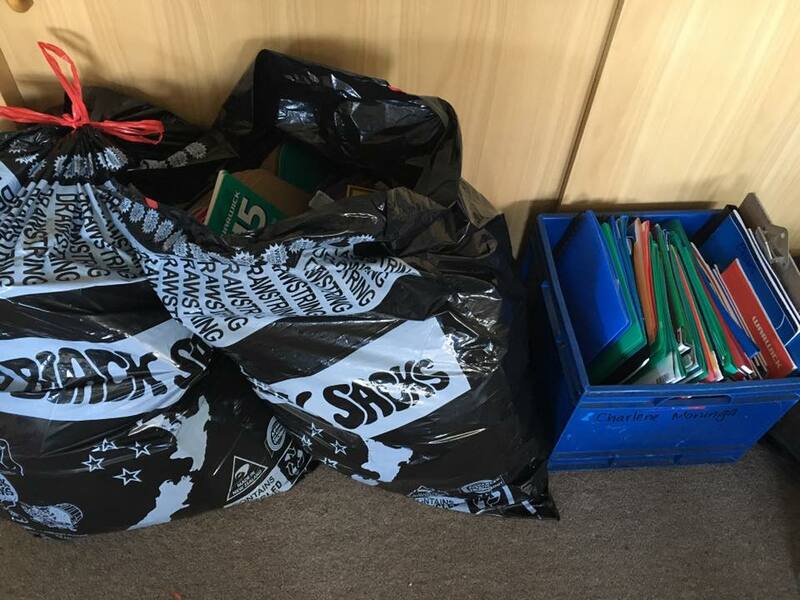 About an hour later...I filled a rubbish bag, and emptied two foolscap filing boxes. And I am DONE! WOW, What a difference! It may not look like much of a difference to you, but it is to me. I got rid of so much stuff! If I am honest, I never thought I would actually get through it. 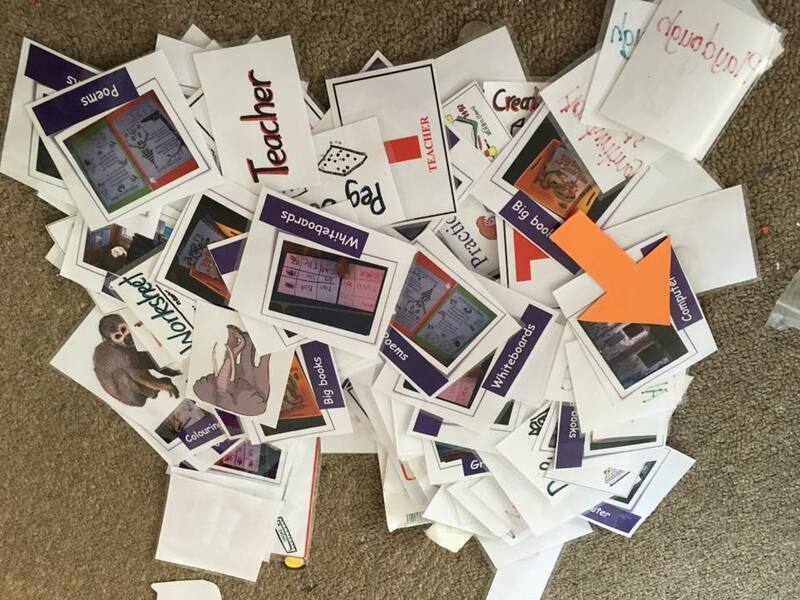 I was dreading purging my teacher resources because it's one of those categories where you want to keep things 'just in case' you need it in the future. I don't know what's going to happen next year or the year after that, so I wasn't willing to part with everything I had, although it would be so much easier if I did, and I do know of a few teachers who have actually done that! One day I may return to the classroom (my own classroom that is), so I do want some resources to start off with. 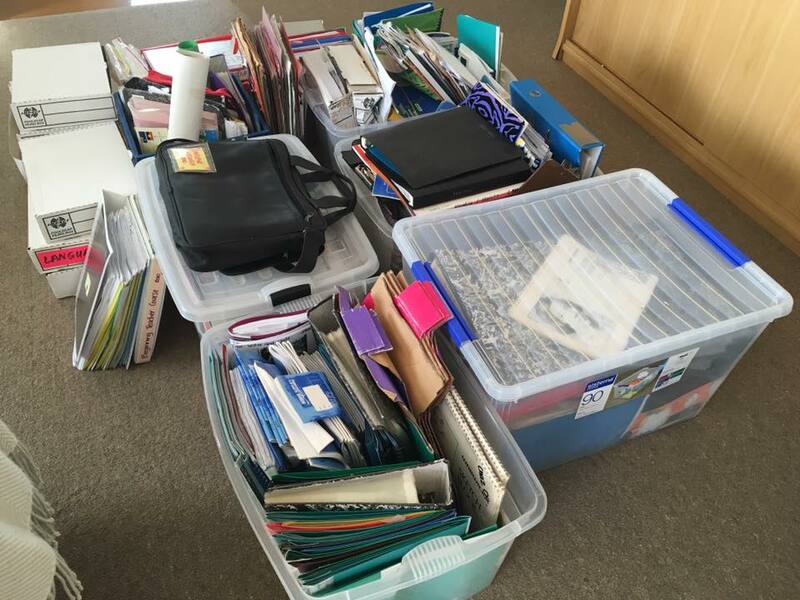 I am happy with what I have kept and the next stage is to organise my teacher resources, but that will be done at a later date because this stage of the KonMari process is all about the purging. 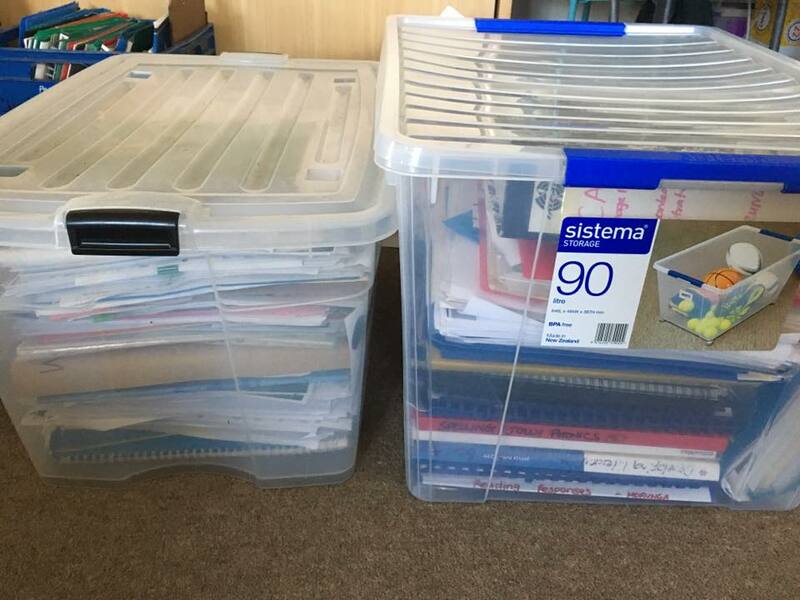 For the time being I have all my arch folders, foolscap filing boxes and teacher resource books (pictured at the back) stored in my office cupboard and the containers (yet to be organised) sitting in front of it. Once I have had it all organised and labelled, I will share the results with you. Watch this space. 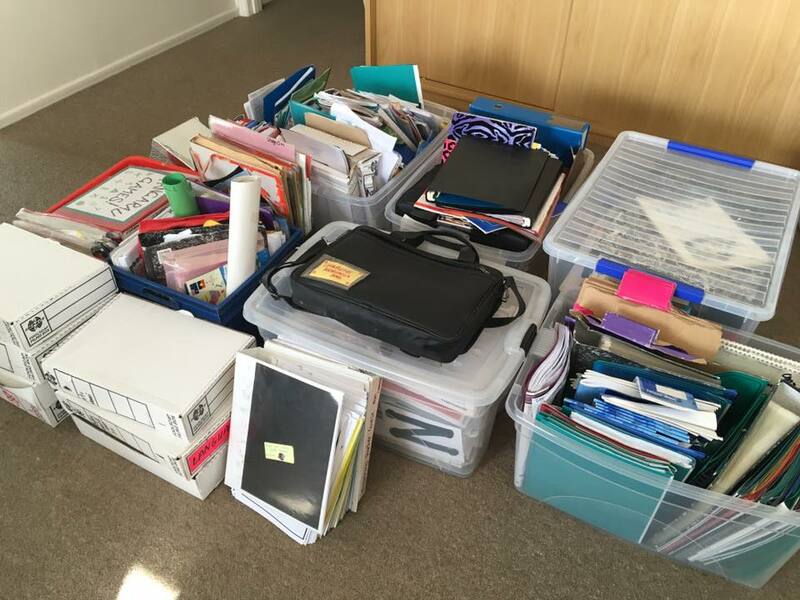 How do you organise your teacher resources? I would love to see photos of your spaces (whether it's at home or in your classroom). You can get in contact with me HERE. The biggest and hardest category of them all...over the next few weeks, I will be tackling my Sentimental items - personal knick knacks, photos (galore), digital files etc. Watch this space...I will probably break this category into parts, because I have quite a lot to get through. 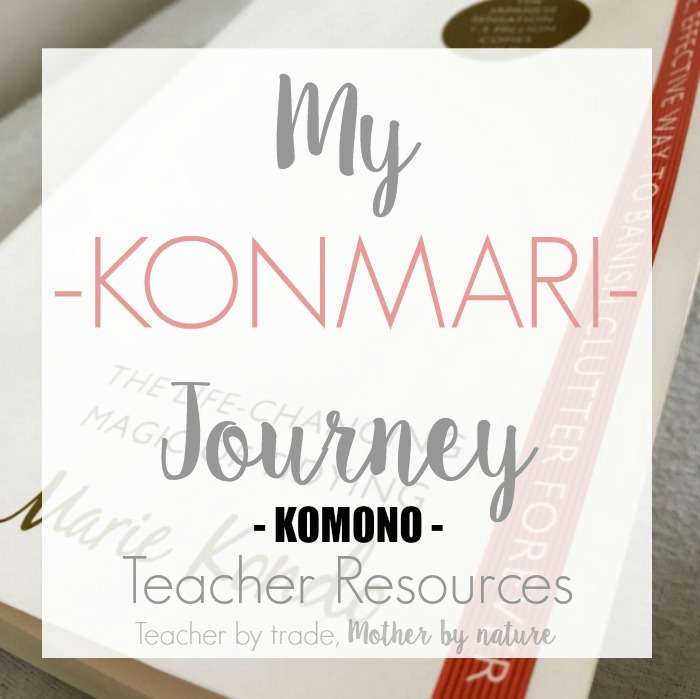 If you would like to give the KonMari Method a go, but don't have the book - You can view and print/save all of my KonMari checklists HERE. 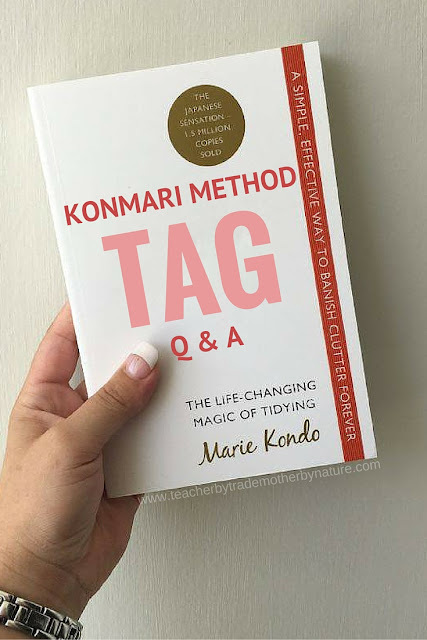 HAVE YOU SEEN MY 'KONMARI METHOD TAG' POST? This is the area I would have most difficulty with. 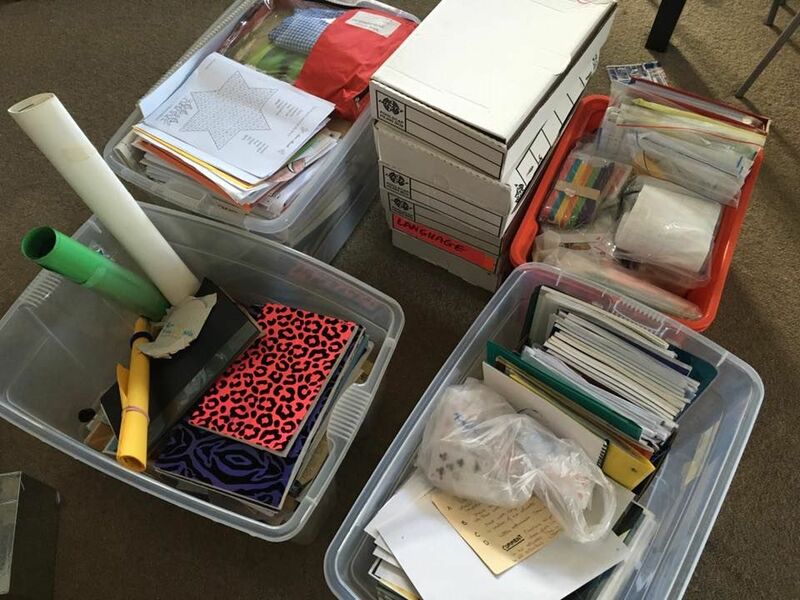 I shipped all my teaching resources from the UK down under and then gave/chucked them all away when we moved to our smaller place three years ago. Now I teach English to international students and have built up another whole stack of resources which I also can't bear to part with "just in case." They're all over the house; in the spare room, in the hall cupboard and even under the bed. I totally need to Kon Mari them! I think you did good! This is something I've started to do but it's so overwhelming. A friend and I have agreed to help each other. I purge every time I move but it's time to do it again. I know I will feel better getting rid of the things we no longer love or need. But ... starting is hard. Thanks. I need to do this with all my old marketing textbooks and books. So much of the information has changed from 15 years ago! I ended up getting my office looking tidy after sharing it being messy on Snapchat. I also need to tidy and go through my filing cabinets. I was following with interest as I recently went through all my resources that had been sitting in boxes for the 11 years that I was overseas. I got rid of loads!!!! When I actually made myself go through it I found that much of it was out dated and so much is now available online. I brought back 3 large boxes of resources from the UK and I yet to go through those but I need to do it at some stage and put it into some sort of system! Charlene you have inspired me to get started!